The increasing need to find out about the societies and the cinemas of the region very loosely categorised as the Middle East will give many cinephiles and researchers an interest in the updated version of Gönül Dönmez-Colin’s two interview books. The first (which is reviewed here) deals with Iran and Turkey, while a companion volume apparently deals with the Central Asia Republics of the former Soviet Union. The author will probably be familiar to readers of Cinemaya where she has published festival reports and other essays on a regular basis. Most of the interviews here were conducted between 1993 and 2010 at an array of European, North American and Asian film festivals specialising in these regional cinemas. Dönmez-Colin is a festival insider with enviable access to filmmakers, many of whom interact with her as an old friend. The photos of the author posing with the filmmakers at festival receptions almost outnumber the production stills in the book’s illustrations. In total, there are interviews with 18 directors – ten Iranians and eight Turks. Most of the high profile figures of Iranian cinema are here (Kiarostami, Makhmalbaf, Panahi, Jalili, Milani and Mehrjui) as well as art cinema directors (including Semih Kaplanoğlu and Ali Özgenturk) from the lesser-known but fast-emerging Turkish cinema. While one might wish for the inclusion of material on Asghar Farhadi and Nuri Bilge Ceylan, you can’t have everything. The format of each section is for a one or two page overview to precede the interview(s) with each director, which are then followed by another summary overview including an updated filmography. The book is concluded by expanded credits and other details for each film mentioned in the text. 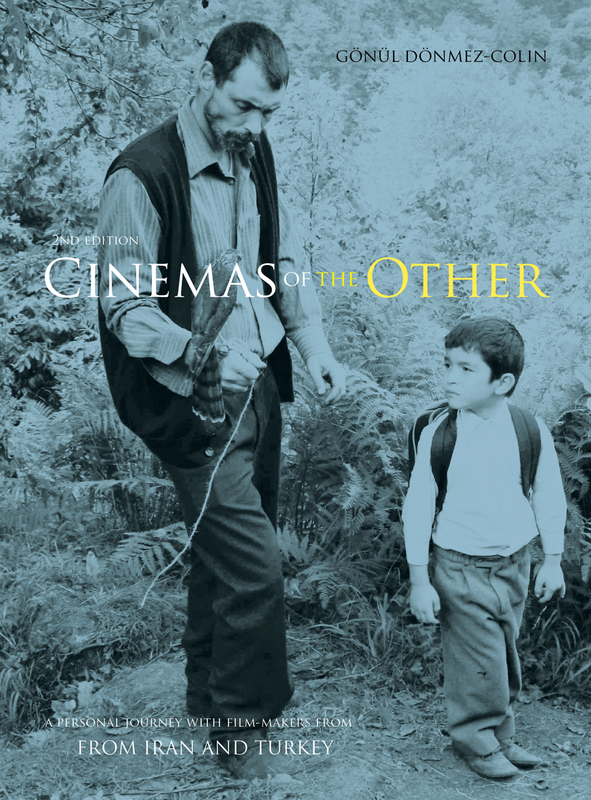 In her introductory essay, Dönmez-Colin employs the overarching concept of ‘cinemas of the other’ in order to bind together such a disparate group. There is a neat slippage here with the pluralised ‘cinemas’ maintaining difference and diversity, while ‘the other’ provides a unity that gestures towards some kind of common position on the margins of a hegemonic consensus. The author’s use of the term other is initially glossed with two meanings: the other of a Eurocentric world view (let us not forget that Saïd coined the term orientalism specifically in relation to the study of this geographic region) and an other that is more cinema-specific, referring to the status of art cinema seen from the perspective of commercial mainstream dominance. Having said that, the approach here is very much a bottom up one. Dönmez-Colin is interested in 18 individuals first and foremost, rather than elaborating large scale conceptualisations of the national cinemas of which these filmmakers might be considered a part. Those with an established interest in these national cinemas are much more likely to find this book of interest rather than those seeking an introduction to Iranian and Turkish cinema. Even those with a passing familiarity with the filmmakers might find themselves frustrated by the way that the interviews often deal so closely with individual films. These are interviews whose primary context is to accompany festival premieres. Anthologised in this way, they lose a degree of their immediacy, especially for most western readers who will not have ready access to the films. Dönmez-Colin points out in her introduction that she is aiming at “a universal approach and a style that is not overly academic” (11). Her interest in individual films is primarily thematic as she quizzes directors on matters of symbolic meaning and social realism. Her interviews often assume the air of conversations as her questions can be quite lengthy and explicitly set forth her own opinions and interpretations. At one point she tells Majid Majidi that symbolism is important to him and goes on at length to recount the instances of it in his films (78). Her own background leads her to assertively engage Turkish directors in discussions of the social context of their works, while she is more reserved with the Iranians, constantly invoking the perceptions in the west concerning Iranian society and cinema. In both national contexts, one of the strong themes to emerge is the constraints within which filmmakers work. For the Iranians this is primarily censorship by the state. Virtually every director comes armed with a tale of having a film withdrawn from the Fajr Festival. Most are guarded in their criticisms of the Islamic state, though given the period in which the interviews were conducted, they express some optimism at Muhammad Khatami’s period as Minister for Culture in the early 1990s – clearly an optimism that has not panned out in recent years. There are several rich insights into the history of aesthetic movements, especially in Iranian arts, and the ways in which they have influenced cinema. One example is Kiarostami’s discussion of the ta’ziyeh, a ritualised theatrical tradition of religious passion plays. Mehrjui similarly cites the Karagöz, a regional form of shadow play, while Kalari invokes the importance of the cinema-ye azad, a 1970s experimental film movement. Although the Turkish directors have their own stories of the interventions of the state, particularly following the military coup in 1980, the overriding problem with which they deal is the centrality of a commercial cinema. Television and the tradition of the populist Yeşilçam commercial cinema are constant points of reference as is the relatively new influence of European funding, with several filmmakers looking to the aesthetic traditions of European art cinema, just as they are engaging with the institutional possibilities of co-production and funding through Eurimages. The most interesting theme to recur throughout the interviews involves the transition of Islam from an oppositional force, which was seen for a time as challenging the established order and even engaging positively with feminism, to a point where it is constitutive of the established order. This leads some filmmakers to consider a wider dialectic between modernity and tradition in their societies and in their national cinemas. Women filmmakers (such as Tahmineh Milani, Rakhshan Beni-Etemad, Handan Ípekçi and Yesim Ustaoğlu) and women as subjects in films are a central element here. As a woman critic and author of Women, Islam and Cinema (London: Reaktion, 2004) we would expect that Dönmez-Colin has a strongly defined interest in this area of criticism. The status of women features as the dramatic site in which thematic conflicts between modernity and tradition can be personalised in the films of both men and women. Even a relatively commercial director such as Atif Yilmaz can explain that he sees women as “more dramatic” (242) because they lack the social advantages of men, and hence have to struggle more explicitly to negotiate a place in the social order. Some of this touches on questions of style as well. The dictates of the Iranian government on the ways in which woman can be shot connects to discussions of stylistic options. The most interesting interview here is with Mahmud Kalari who moved to directing after being cinematographer on films by Kiarostami, Makhmalbaf and Mehrjui. He raises small issues such as the inability to show women’s hair and the problems this creates for lighting close shots. Interview anthologies with directors tend to be piecemeal affairs and this impression is deepened here given the original context of the interviews and their close grounding in individual films on the transient circuit of international festivals. Those deeply engaged with these national cinemas will no doubt profit from reading this book from cover to cover, but I suspect the rest of us will dip in and out of it, using it for reference on the odd occasions where we have a rare chance to encounter the work of one of its art cinema auteurs.